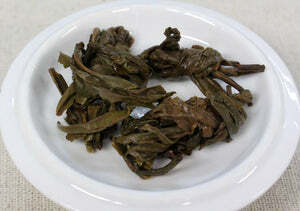 The dry leaf shape, the aroma, the taste, and even where this tea comes from is unique. Hailing from the Satemwa Tea Estate in Malawi, this tea is hand-rolled by workers who are respected and supported through a comprehensive welfare program. 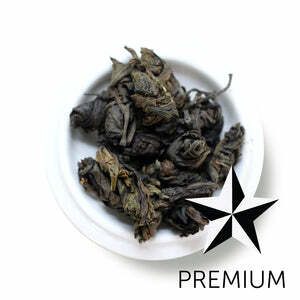 This tea estate is expanding past the norms of traditional tea production in the area. They are at the forefront of sustainable farming practices, keeping the integrity of the land, and translating that to the teas they lovingly produce. 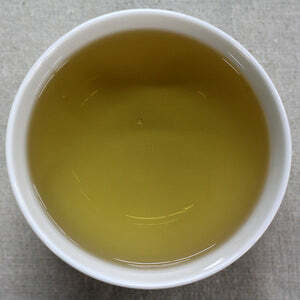 The first sip of this tea is warm and buttery, both in flavor and mouthfeel. You won't get any notes hitting you over the head with a hammer, but a soft invitation to sip more. As you sip this, you'll notice the buttery flavor stays consistent, ending with a very slight vegetal finish. Lightly sauteed zuchini comes to mind, but it could be perceived as grassy. 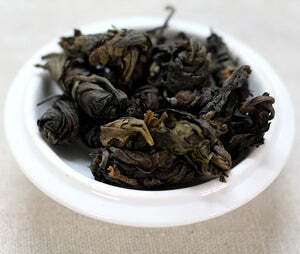 Several steeps help the multi-hued leaves unfurl fully (we enjoyed 3 steeps of this tea). PERSONALITY: likes yoga, long walks in the park. Will out-zen you. Teapot: (8oz water): 2 level tsp • 175º • Steep for 2 min. Resteep: 2 times for 2 min.